A few months ago, my Mom and I hosted a small brunch party. We had different ideas of what we wanted to serve and I was adamant about chicken and waffle sandwiches. They're easy to make and lets be honest, a chicken and waffles is very trendy at the present time. My sandwiches flew off the plate and we will always make a variation of this in the future. To make life simple, we used frozen waffles and frozen chicken tenders. It's much easier than having to slave over your waffle iron and your fryer. Having multiple options for guests to build their Chicken and Waffles is the way to go. I prefer to do a mix of savory and sweet options. I used Aunt Jemima frozen waffles which now come in a 14 pack for the same price as their previous 10 pack. They only take 8 minutes to cook in the oven at 400, which is the same temperature it takes for frozen chicken tenders. I prefer this method so all of your waffles come out at the same temperature vs. using your toaster a few at a time. Put the chicken tenders in, flip them over after 10 minutes and place the waffles in the oven at this time. 20 minutes later, you will have the perfect foundation for Chicken and Waffles. I took two brunch staples and combined them into one. Using chicken as your protein and a waffle vs. a traditional English Muffin. Poach your egg while your chicken and waffles are cooking. If you need help poaching eggs (lord knows I did), here are a few methods. I used packaged hollandaise sauce for the topping. By far the easiest method - a waffle, chicken tender and syrup! After your chicken and waffles are finished cooking, pour maple syrup over the tender. Can't go wrong. This is a great brunch sandwich. Adding the Chicken to the classic BLT is the perfect addition. I usually use arugula for this recipe, however my local store was sold out (?!?!) and I was stuck with Romaine. While your chicken and waffles are cooking, cook your bacon and slice your tomatoes. If you want to take this sandwich to the next level, roast your tomatoes like I did - WOW. My husband preferred having mayonnaise on the waffle whereas I used Sriracha. To each their own! 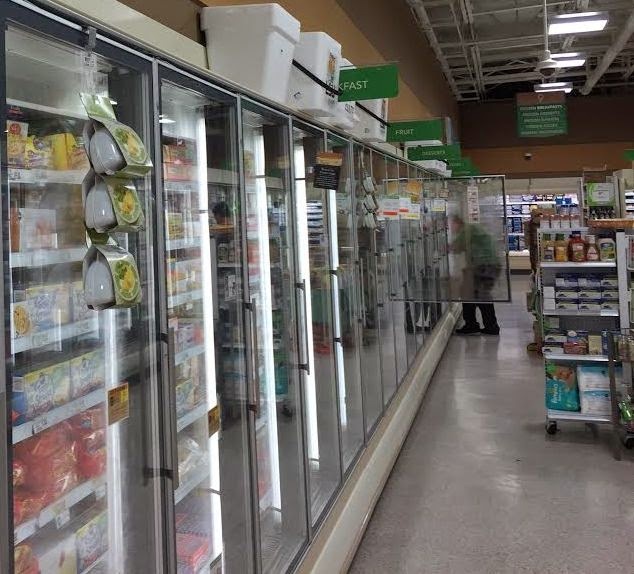 I found the new Aunt Jemima Frozen Waffles 14 pack at my local Publix (and they were BOGO, score!). Here is a coupon for Aunt Jemima Frozen Waffles and be sure to check them out on Facebook for other recipe ideas! 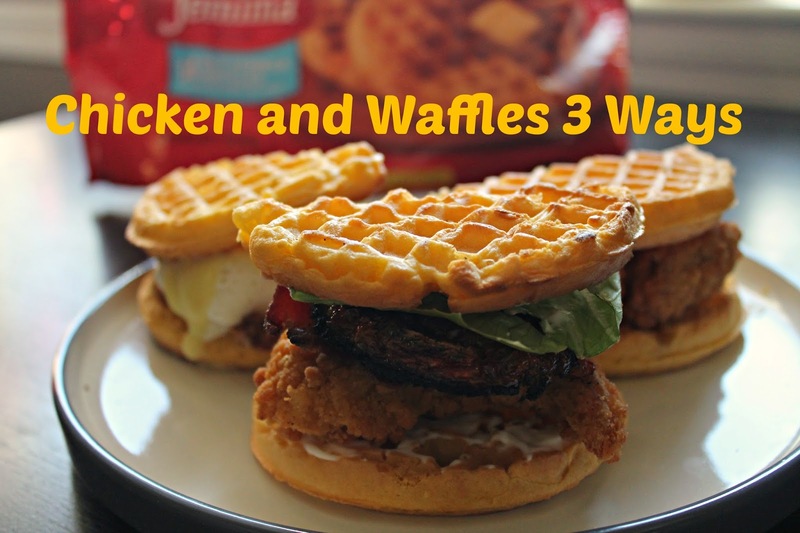 Follow SoFabConnect's board Aunt Jemima Frozen Waffles on Pinterest.